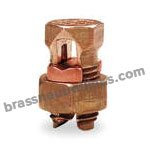 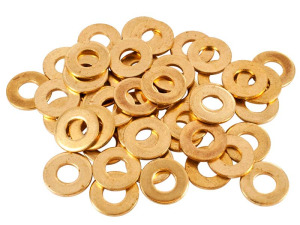 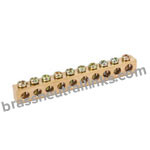 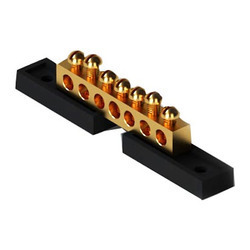 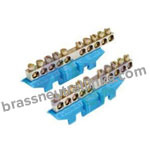 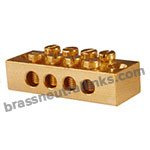 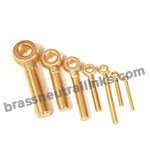 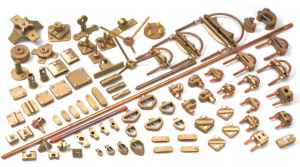 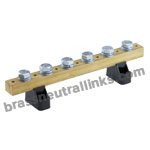 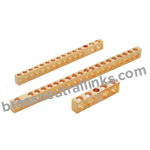 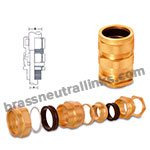 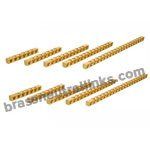 We manufacture Brass Neutral Links that includes Brass Neutral link 4 Way, Brass Neutral link 8 Way, Neutral Bar 1 meter Length, 360 Brass CDA Neutral link, 360 Brass Neutral Link with Lugs and more. 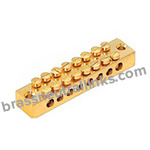 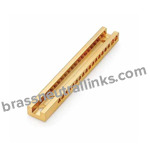 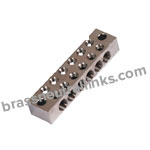 Brass Neutral link made with Free Cutting Brass IS 319 Type (I), Brass - BS 2872 CZ 112, CZ-360 High Grade Brass material. 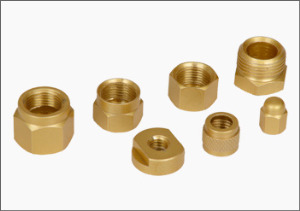 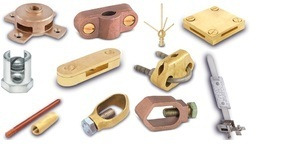 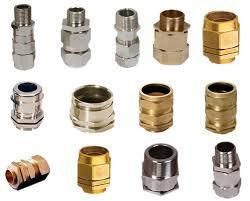 Screw Connection used for Brass Neutral Links are Steel multi-head, Zinc plated headless screw, headed slotted machine screw, etc. 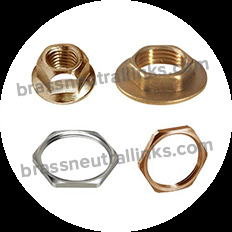 It is available with coating like Nickel Plated, Tin Plated, Electro-Tin, Chrome or any coating as per customer requirements. 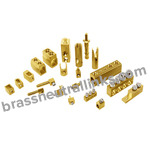 It is available with various international threading standard. 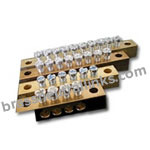 Power Distribution Cabinets, PE30 Distribution Boxes and Lighting Box are applications for Brass Neutral Link.